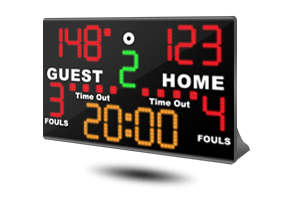 LED Tabletop Basketball Scoreboard for hire. Perfect for club level. This scoreboard is sat on the centre court line facing the players. The controls are on the back of the scoreboard for easy access. 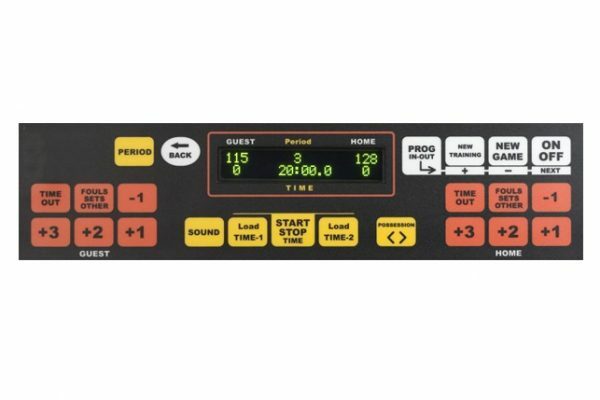 The easy to use keypad allows for quick update of scores, fouls, time outs, periods and game time. Built in horn for end of play. 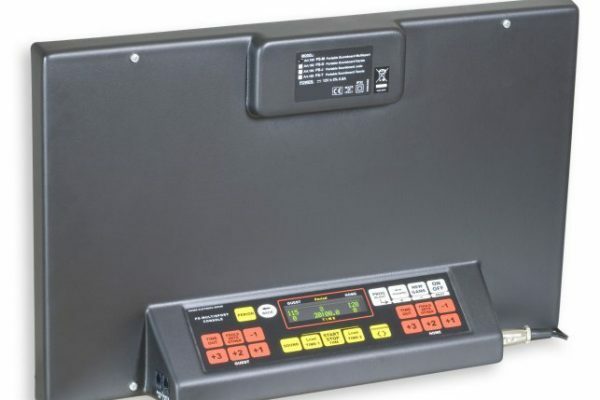 The scoreboard is supplied with handy carrying case.